Why aren't you taking your vacation? (MoneyWatch) A CEO recently asked me why I thought his employees never took all of their vacation. He had a list of executives with the most accrued vacation time and was considering "naming and shaming" them. Fear. In this economic climate, people are afraid that if they take time off, they will return to find that their job has disappeared. They don't want to look as though they lack commitment. Money. Many executives have spouses or partners who have been laid off. Money's tight, and few people feel confident enough to book a week in Hawaii. If you're not jetting off somewhere, you might as well work. Workload. This particular company has set itself an extremely ambitious growth goal. It's also just gone through yet another round of cost-cutting. So now there is more work and fewer resources. How is the work going to get done? If you are serious about growth, you have to provide the resources; anything else is prayer and exploitation. Of course, these weren't the answers the CEO wanted to hear. He wanted someone to blame. He knew he had a problem, although he may not have realized how serious it was. Finnish researcher Marianna Virtanen has examined the long-term impact of overwork. Studying 2,000 civil servants whose health profiles had been tracked for decades, she came to two startling conclusions: Working 11 or more hours a day at least doubled the risk of depression; and those working 55 hours a week or more began, in their middle years, to suffer cognitive loss -- that is, their performance was poorer when tested for vocabulary, reasoning, information processing, problem solving, creativity and reaction times. This level of mild cognitive impairment in middle age also predicts earlier dementia and death. In the meantime, it left executives in a vicious trap -- the harder the worked, the less effective they became. 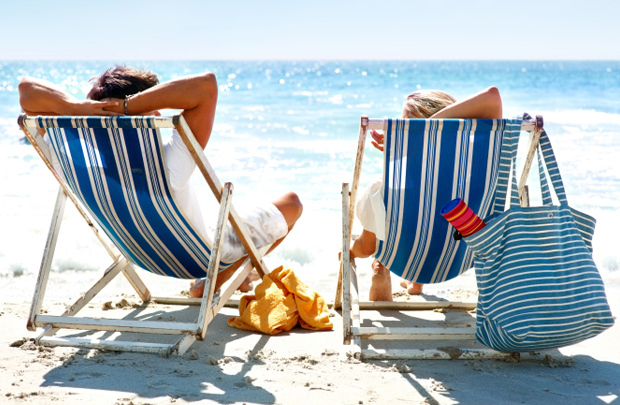 Estimates vary, but researchers agree that most American employees don't take their full vacation allocation these days. And the trend is starting to spread. It's dangerous for the individuals and for the companies they work for. Real leadership requires recognizing that you can't set big goals without adding big resources. When you do, the costs are immense -- even if you aren't around any longer to see them.